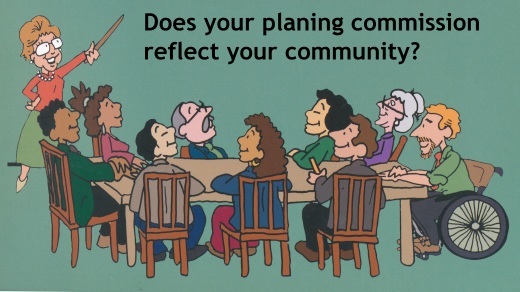 If your planning commission truly makes decisions that affect the well-being of the entire community, it makes sense that its membership reflects that community. In most cases, women not welcome in the past have broken the gender barrier, but the middle/upper class, all-white racial makeup of planning boards is still too prevalent. This is characterized by the obvious lack of the handicapped, young people, Latinos, Asians and other minorities and, in keeping with today’s social mores … those who are admittedly gay, lesbian, or transgender. These omissions shortchange the board’s ability to represent all your constituents. Multiple perspectives open up the possibilities of planning for and with people who may otherwise feel disenfranchised or ignored. They also can help create a more vibrant and inclusive community. The suggestions below assume commission members are aware of the advantages of a diverse membership and have an influence on appointments to the board. Some of you are consulted by the mayor or appointing authority; others use more informal networks to recommend people to fill vacancies. If a written application is required, review the forms so that they are easy to understand and make sure they are available at your commission meetings, neighborhood gatherings, and other public places. Whatever works in your community, everyone will benefit if you use your influence to help diversify the board. 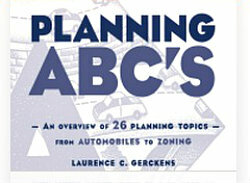 Many planning boards set aside positions for business, professional, and other known interests. Look outside your accustomed networks when filling these slots. Ask local organizations to recommend minority accountants, attorneys, educators, and other professionals; drive down Main Street or walk through the mall to seek out likely candidates among shopkeepers or other small business owners. Review records of your last six months or so of public hearings. Who has spoken out as a representative of constituencies such as affordable housing, handicapped access, neighborhood livability, environmental protection, or other matters, but is not so much of a zealot that he or she is not likely to be open to other issues and points of view? In other words, who among them would be a constructive planning commission member? Consult with people who know people … newspaper editors, especially of alternative publications, are excellent sources for the names of individuals well respected among segments of your community with whom you may not have much or any contact. Be willing to go the extra mile to meet the needs of potential new members. Are your accustomed meeting hours inconvenient to some or all of your recruits? Do your meetings seemingly go on too long without resolution and are thus likely to bore people less attuned to planning? Does the very nomenclature intimidate some who may need a little education to be productive members of the commission? Public buildings are required to provide handicapped access, but what about the room in which you meet? 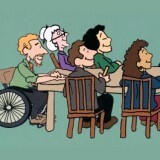 Can a wheelchair be placed comfortably around the table? 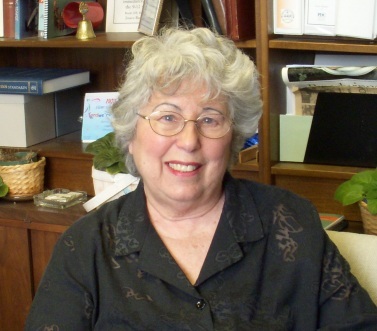 Can accommodations be made for the hearing impaired? Put yourselves in their shoes or ask what is needed to help them function fully as a member of the planning commission. Consider a buddy system. Volunteer to help potential or actual newcomers by being available to answer questions that may seem routine to you and your colleagues but less obvious to others. Chat informally in a convenient coffee house. Offer to accompany them to the first few meetings. As welcome as these gestures may be, some finesse is required to be careful that your friendliness does not imply you expect the newcomer to always vote your way. Maintaining the status quo in regard to the membership on the planning board is easier than being proactive. But today’s society is too dynamic for that to be satisfying to those who realize the value of wise and inclusive efforts to expand your reach and are willing to take steps to get there.